Oh goodness, this isn’t another Nonprofit Quarterly newswire about Donald Sterling, is it? Calm yourself; it’s not about Sterling. Rather, we’re just using a line from Sterling’s interview with CNN’s Anderson Cooper to draw out a point of significance to some nonprofits. This is one of the underlying issues of the Donald Sterling matter. The debate isn’t about whether Donald Sterling uttered some absolutely vile things about blacks in a conversation with his paramour archivist, V. Stiviano, nor whether he personally was caught by the Justice Department and local nonprofits carrying out racially discriminatory policies in the rentals of apartments in his housing developments. Just about everyone has written off Sterling as an unrepentant racist, forced to apologize only when rung up by the National Basketball Association after his taped comments were released. 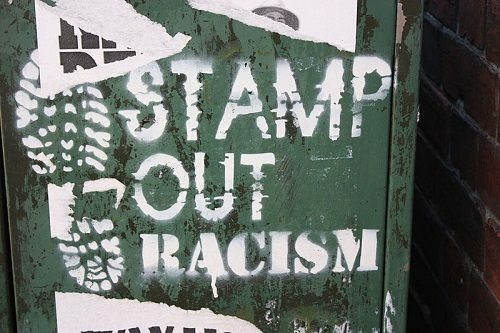 It’s about whether racism in its more subtle forms is alive and well in the U.S.—and, for nonprofits, whether nonprofits are functioning within dynamics of institutional and structural racism and failing to take effective action to dismantle them. Jones also cites 2013 survey findings from the Public Religion Research Institute that say 13 percent of white Americans are “bothered” by the notion of America as a majority-minority country—as it will be in less than 40 years, based on current population trends. Although on one scale white Republicans are somewhat more bothered than white Democrats by this kind of population change, using another scale, the difference vanishes, and white Democrats actually slightly exceed white Republicans in their sense of being bothered. As NPQ wrote earlier this week on the occasion of the 60th anniversary of the Brown v. Board of Education decision of the Supreme Court, many nonprofits are not only not talking about integration, they’re not talking about race—and they may be pursuing otherwise well-intended education reform policies that in some cases have the effect of perpetuating and strengthening “separate and unequal.” But the concerns about nonprofits and public policy on issues of race extend far beyond questions about public and private education. With no articulated malicious intent regarding race, it appears, based on data from the nonprofit Marijuana Arrest Research Project, that New York City’s police department is continuing past practices in unfair arrests for possession of small amounts of marijuana, with few arrests in affluent white areas but a disproportionately high proportion of arrests of blacks and Latinos in majority-minority neighborhoods. In Dallas, the nonprofit Inclusive Communities Project is suing the U.S. Department of Housing and Urban Development again, having sued earlier in 2010, because HUD’s distribution of Section 8 rental housing vouchers is having the effect of concentrating blacks and Latinos in minority neighborhoods even though a pilot program established in the wake of the 2010 court order demonstrated how it could use Section 8 vouchers in higher income, suburban neighborhoods. Occasionally, although the topic never seems to make it near the top of the agenda of national nonprofit trade associations, some localities become concerned that the leadership of their nonprofit communities is disproportionately white compared to the increasingly racially and ethnically mixed populations that the nonprofits serve. Race is an issue of separation and inequality, even without the likes of Donald Sterling. Some who watch philanthropy say there is a difference between bribes and donations, but not everyone agrees.